10 Apr What are the best tools for the SEO analysis? You may have spent much time to run your SEO campaign. You have used keywords, added links and done various other activities to optimize your site. However, how do you know the effectiveness of all your efforts? There are SEO tools to test your website performance. 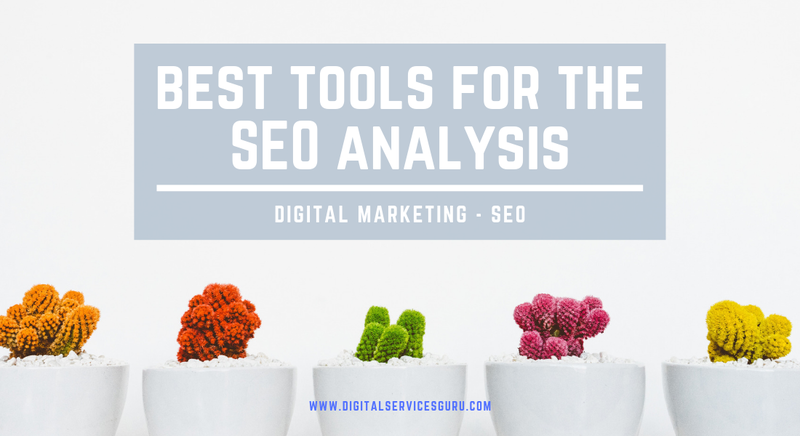 Now, we have listed the best tools, used for SEO analysis of your site. Several SEO specialists use this tool for digital marketing campaign. The free version of this tool is available for thirty days. When you use this tool for your site, it gives you a detailed report on various things. You can know about your website visibility, features of your web content, presence of any broken link. The tool also informs you about the page speed of your site on the mobile and desktop platform. When you are looking for the free tools, you can rely on it. Although this is a free SEO tool, it analyzes your site comprehensively. You can find out the SEO-related issues, like the sitemap, HTML compliance, coding and various other things. You will be able to optimize the speed by checking the page size, caching, compression and server performance. The tool assesses the mobile friendliness and social engagement of your site. Get a free report from UpCity to review your website. You will be able to find out the value of keywords, used for your site. The tool also checks out the accessibility of your website to the popular search engines. This website grader makes out whether your website is getting high quality backlinks. To show the performance standard of your site, the report card displays you some scores. This is a one of the free SEO tools for investigating the URL of your site. The URL is a ranking factor for the SEO of your site. After an analysis of URL, this tool reports you on the action and effectiveness of HTML headers, web contents, links and files, related to your site. You can check out how many visitors have shared your website URL on Google+, Facebook and other social media. The tool also gives information on the domain and server for your site. Meta tags help in providing your website-related information to the search engines. This tool enables you in having a detailed review of the meta tags. By using this tool, you will be able to assess the description, title, social tags, social media tags and different other elements. The tool also checks your keyword usage in the heading tags, description and title. You may not be familiar to this SEO tool. However, this tool helps in getting useful information on your website. You can count the number of website visitors. The report also presents you the hosting infrastructure of your site. You may preview and analyze your site layout in the mobile platform. Now, you can choose the above tools to get the best result from your SEO campaign.